It’s Stacey here! Can you believe we are less than a week away from Christmas day and less than 2 weeks away from a new year?! As busy as this time of year can be, I hope you are cherishing the joy and wonder of the season. 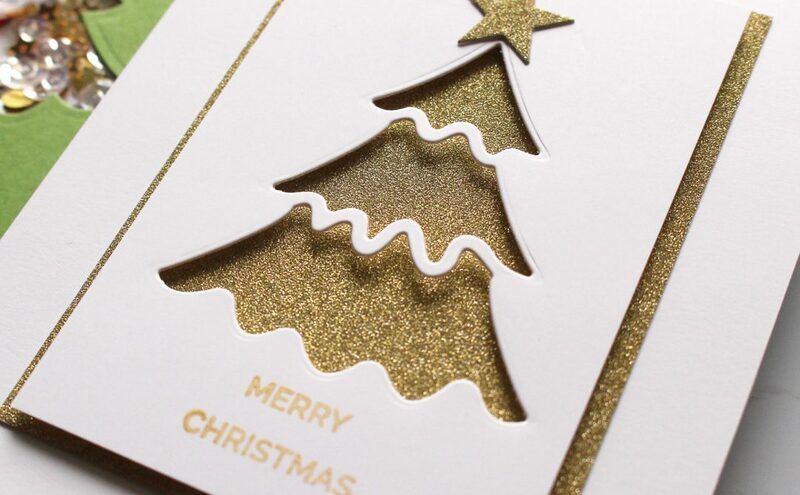 What’s Christmas without a few happy cards floating around to family and friends? 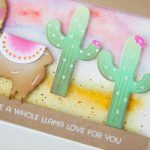 At this point, many of you may be thinking “I don’t have time for card making!” I’m hoping I can change your mind today OR give you some options. 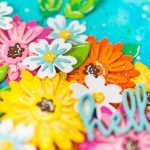 There may not be time to create cards and mail them to friends and family who are far away, but what about neighbors, nearby relatives, friends and colleagues? 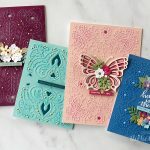 When one of the fabulous designers from our design team, Yana Smakula, was in town for the design retreat, she shared 8 FABULOUS holiday card design ideas with me. Today, I’m sharing the tutorial for one of the designs with you! 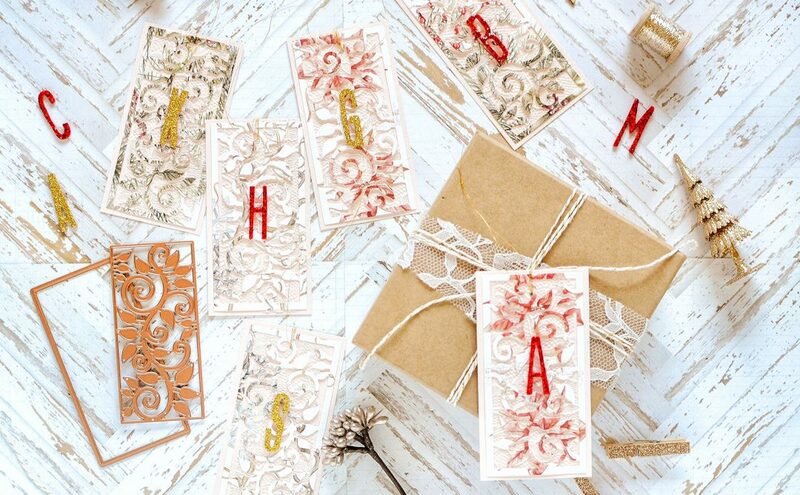 Card Ideas #2, #3 and #4 are available as downloadable instruction sheets. The remaining designs will be available on our website in the tutorial section. I encourage you to explore with one or two. 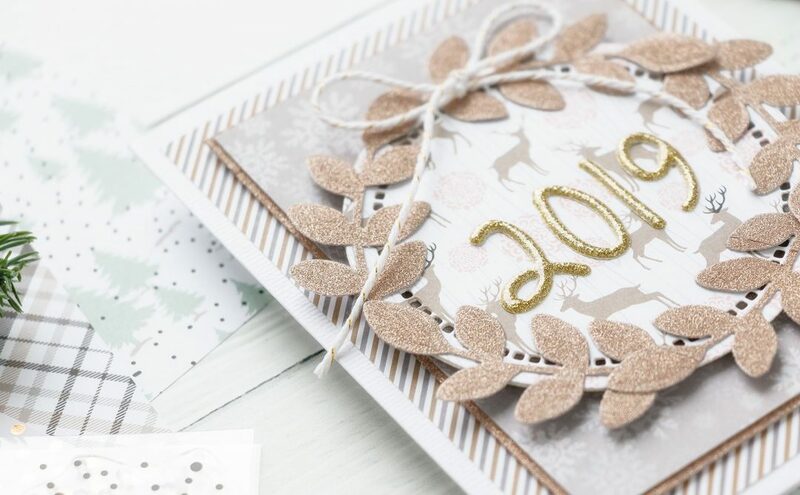 If you can’t make them all this year, you already have card ideas for next year. What do you think? Leave me a comment letting me know, if you’re going to make one or two this year or save the ideas for next year. Rhinestones, metal bells, stamp, heat tool, sewing machine. 1. Cut/emboss A-2 Matting Basics A and A-2 Matting Basics B dies #7 (the smallest size die is #1). Adhere together, add zig zag stitching with your sewing machine. Adhere panel to card base. 2. Cut/emboss Labels Thirty-Nine Decorative Elements die #3. Cut/emboss Labels 39 die #4 and Classic Ovals SM die #5 to create a frame. Keep both frame and oval. 3. Adhere die cut label, frame and oval to die cut panel using foam adhesive. 4. Cut/emboss Fancy Framed Tags 1 die #3 out of vellum. Stamp and heat emboss sentiment. 5. Tie tag to card base using twine, add bells. 6. Cut/emboss Layered Poinsettia dies #1, 2, 3 – two of each, shape petals around the barrel of Tool ‘n One, adhere together. Adhere on top of the oval. May you enjoy the love and joy of this holiday season. Happy Holidays to all of you!